Questions about The KING OF THE RING. Vila mini hotel/hostel Kan ni ändra deras telefonnummer. Det nummer ni angett +4633100100 är mitt och det går till Ab Borås bil & bärgningstjänst och är vårt larmnummer angående bärgningstjänster. thank you for your e-mail about entries to king of the Ring. I need to know their name, date of birth ( year, month, date) weight, amountof fights and what club then I will enter them in the system. And I will enter you into the tournament you want to participate in. How much is it to enter a boxer? 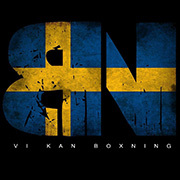 The price for entering a boxer in the tournament is 300 SEK (32,36 euro)! Organising Secretary and AIBA Certified ITO.